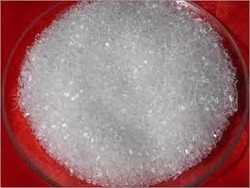 We are the leading supplier and manufacturer of Magnesium Sulphate. We entertain buyers from all over the world and bulk order quantity buyers are mainly preferred. We are the leading organization in the industry to provide our clients the best quality array of Ammonium Propionate Crystal. For dyeing and printig of wool, nylon, and silk, Other uses are in paper , lether, biological stain and indicator. Heavy metal salts of dye is for paper coating, transperant pigments in tin printing , and in moulding powders. Sodium Sulphamate which is also called Sulphamic Acid Monosodium Salt is used in Printing & dyeing, Building Materials, using as in Textile Industry and Agriculture uses also. Packaging Size: Packed in 25 Kgs & 50 Kgs. Storage: It should be stored in a cool dry area and away from direct sun light. From our wide consignment, we are affianced in supplying 4-Chlorophenol.